Thermoplastic producer Polyplastics Group has announced the development of the Duracon polyoxymethylene (POM) PM series for drug contact and delivery applications for the healthcare market. The new POM grade meets regulatory compliance requirements including ISO10993 and USP Class VI biocompatibility/cytotoxicity, FDA Drug Master File (DMF) and Device Master File (MAF), and EU 10/2011 and FDA food-contact 21 CFR 177.2470. The material also adheres to quality management systems including conformity to VDI guideline, VDI 2017 medical-grade plastics. It also provides full traceability of processes and products, and production management based on GMP principle. Polyplastics offers medical device manufacturers data on the long-term reliability of its materials. Customised data on extraction, mouldability, durability, slip and wear, and other key attributes is also available. TOPAS COC is a plastic which offers stiffness and barrier resistance, biocompatibility, and drug compatibility for wearables, drug delivery, medical devices, pharmaceutical blisters and trays, and diagnostics and microfluidics. 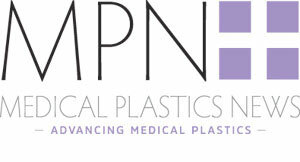 Polyplastics will highlight the PM Series and TOPAS COC at the Pharmapack exhibition in Paris, France 6-7 February 2019, and MD&M West in Anaheim, California, U.S. 5-7 February 2019.